In lieu of flowers memorial donations may be made to Hunger Warriors (the backpack food program for underprivileged children in our community) and left at the funeral home. 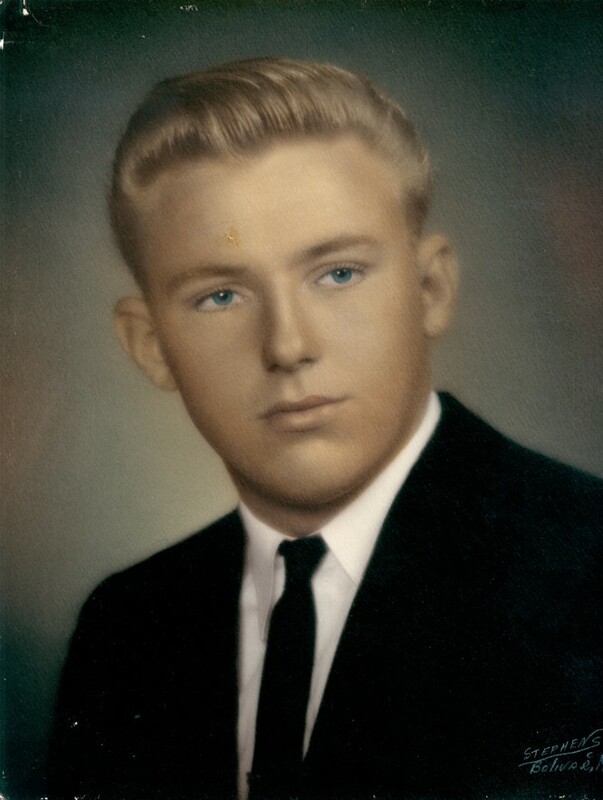 John William Stutesman, age 70, of El Dorado Springs, MO, passed away Tuesday, December 22, 2015. John was born November 20, 1945, at Wheatland, MO, the son of J.C. and Willadean Stutesman. He attended school and graduated from Weaubleau High School. John married Charldean (Sandy) Cole on June 29, 1964. They were married 49 years before Sandy’s passing in 2013. To their union three children were born. Except for a brief time living in Blue Springs, MO, they spent the majority of their life on their farm in St. Clair County, where they raised their three children. John had a tireless work ethic. He built a successful Heating and Air business from the ground up, all while he was farming, raising beef cattle and raising a family. John’s family was his top priority. He was a friend to many, but most importantly, he was a dad and a husband. He provided a wonderful simple life for his wife and children, with a home full of love and security. John believed in keeping his word and doing business with a handshake. He was loyal to friends and family and will be missed by all. John came to know the Lord and was baptized in 2013. Preceding John in death was the love of his life, Charldean Stutesman and his father, J.C. “Sonny” Stutesman. Survivors include his mother Willadean Stutesman of Weaubleau, MO; a sister Maretta Smith and husband Robert of El Dorado Springs, MO; three children: Jerry Stutesman of Taberville, MO, Larry Stutesman and wife Stacie of El Dorado Springs, MO, and Terry Austin and husband David of El Dorado Springs, MO; as well as a host of grandchildren, great-grandchildren, cousins, nieces and nephews. Funeral services for John Stutesman will be held on Monday, December 28, 2015, at 2:00 p.m. at the El Dorado Springs First Baptist Church. Rev. Brent Bland and Bro. Everett Smith will officiate. Burial will follow in Love Cemetery under the direction of Bland-Hackleman Funeral Home. Pallbearers are: Larry Stutesman, Jerry Stutesman, Codey Gabriel, Dayton Austin, Hunter Austin, and Shane Watkins. Honorary pallbearers are: David Austin, Robert Smith, Rowdy Rempher, Doug Mays, Rick Meyer, and John Wayne Rieken.